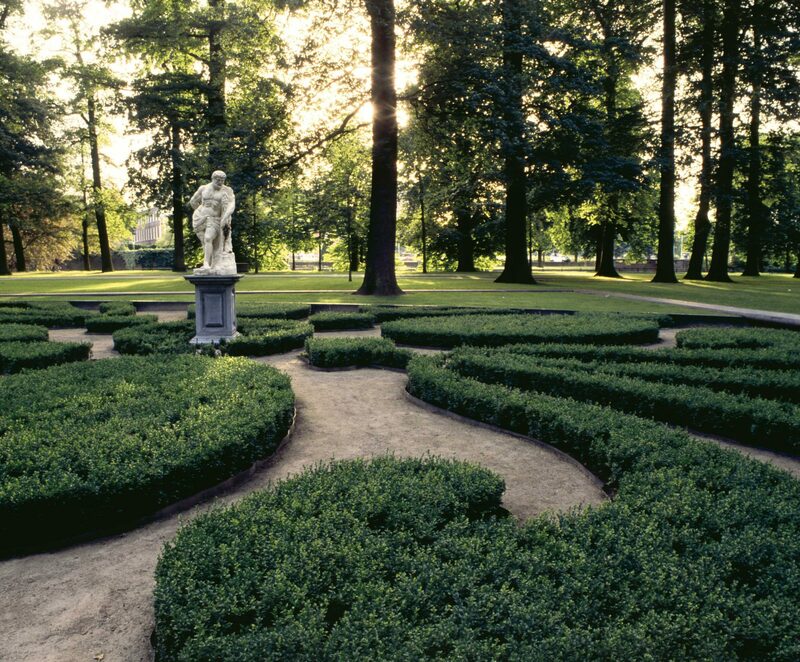 Valkenberg Park forms part of the route daily trod by train travellers from the station to the city centre. The old urban park in the English landscape style, which had become tattered and unsafe, was not up to such a function. In redesigning the park, its existing strengths were used as starting points: its rich history, historic trees, characteristic height differences and large river. 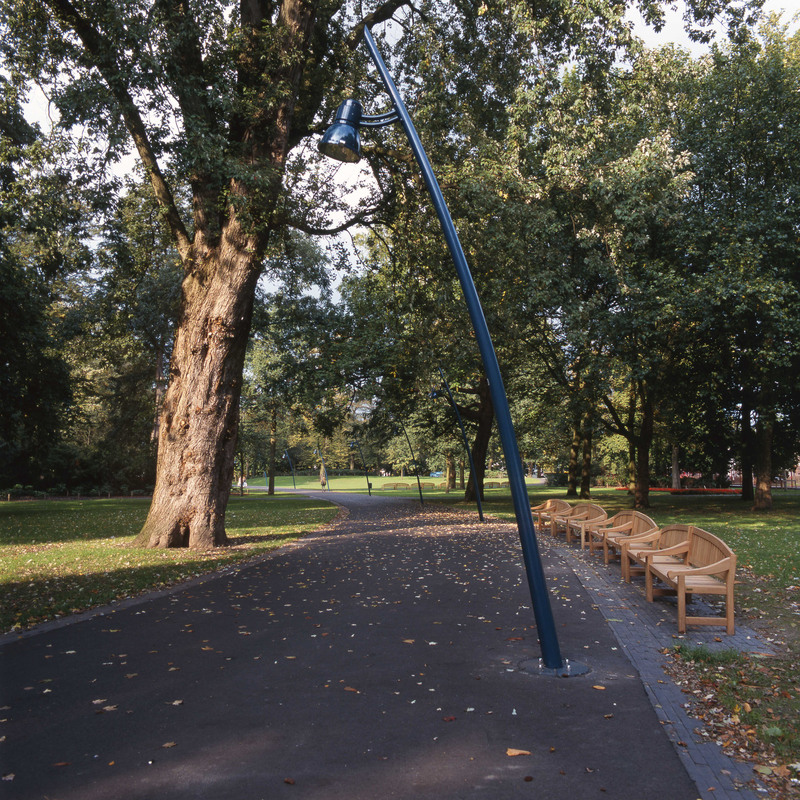 The original character of the park, which had become overgrown, was again made visible by means of a drastic cleanup and simplification programme, without applying a purely historicizing approach. The characteristic system of strolling routes was supplemented with two broad main paths in asphalt, suitable for walking, cycling or rollerskating, this in order to improve the connection between train station and city centre. 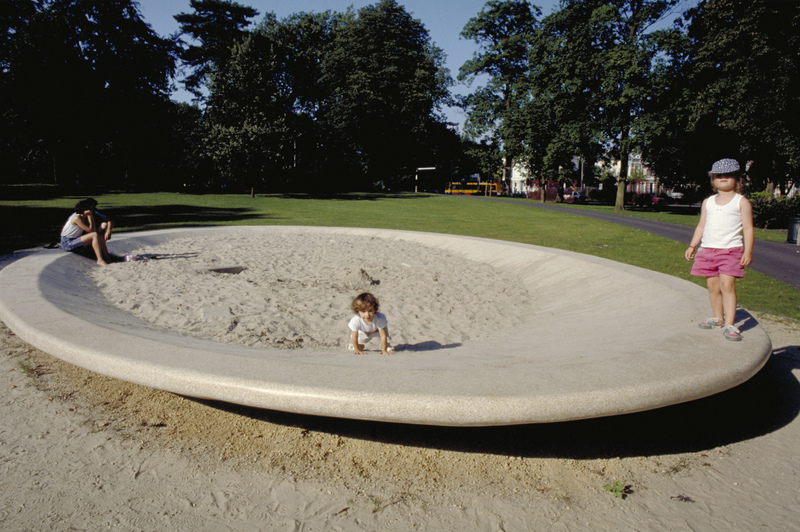 New elements were: a sandbox in an oval-shaped terrazzo-dish, a modern restaurant/catering pavilion and specially designed lighting elements, while the original location of a seventeenth-century castle garden once at this site was memorialized with a new boxwood garden. Attention to detail lent the park the flair that had been so absent: for example, the striking bluestone seating rim of the sunken baroque garden, or the paving stones specially developed to emphasize the bent line of the pond rim. 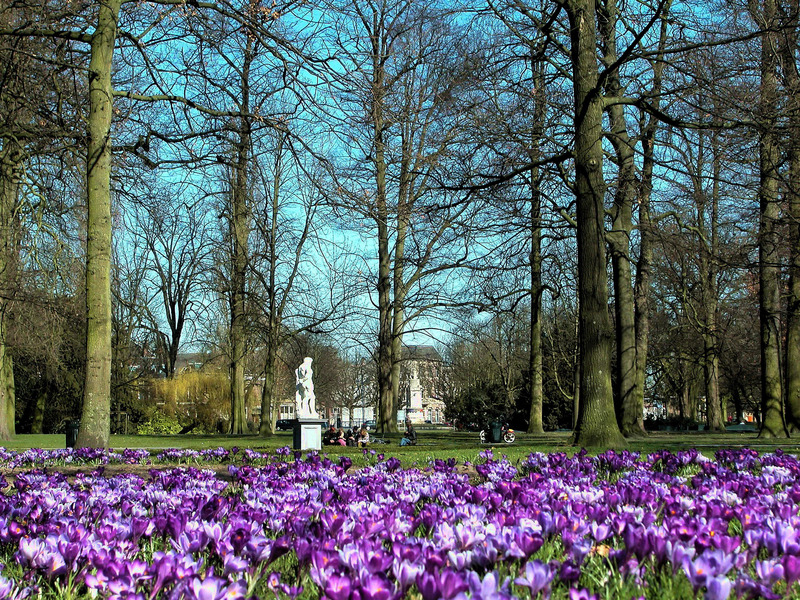 The park has developed into a tranquil location in the middle of the city centre of Breda, into which the sounds of the city pleasantly penetrate. 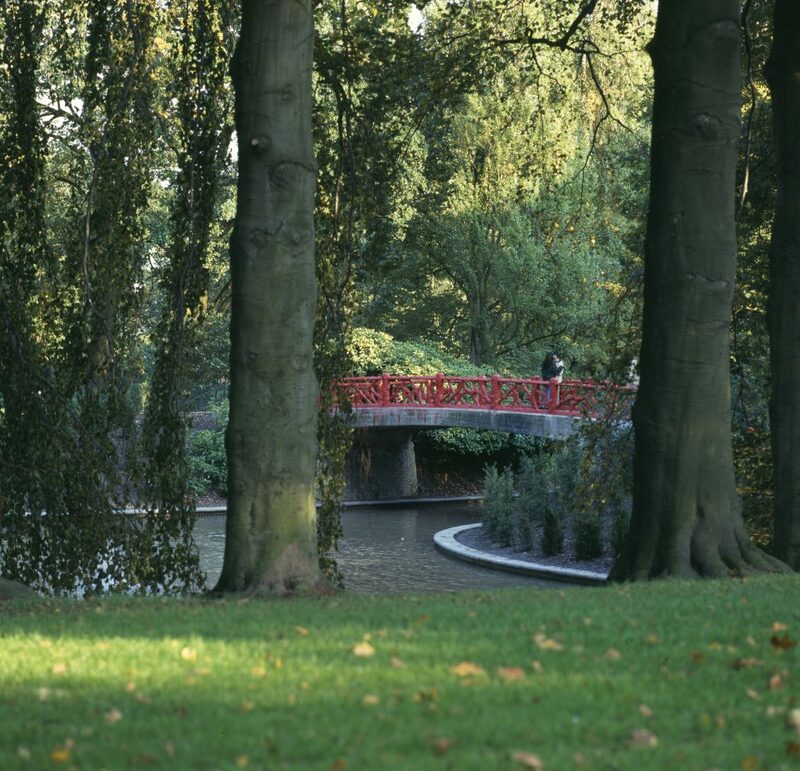 In 1995, the Ministry for Housing, Regional Development and the Environment (vrom) praised the result, by declaring Valkenberg Park an Exemplary Fourth-Policy-Document Public Space Plan. 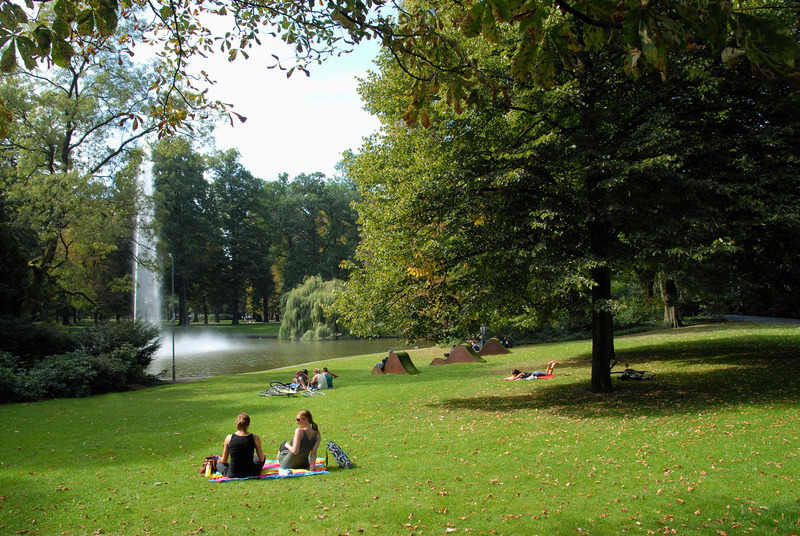 The success continues: 15 years later, in 2010, the park was nominated as Public Space of the Year.